ArmorGarage now offers this amazing bathroom epoxy refinishing kit. You can now transform your old out dated bathroom into a new modern bathroom overnight! This is a complete kit designed from the start for first time users. This DIY bathroom refinishing epoxy kit it's a simple three step process to a new bathroom. Do a tub, a sink, a wall, a shower or the whole bathroom easy. 1.Simply clean your surfaces to be covered with the included cleaner and easy-to-follow instructions then wipe down with a clean dry cloth. 2.Then, mix together the two included cans of industrial-strength epoxy with the included mixing stick, and apply with the included brush and rubber gloves. The epoxy is self leveling so brush marks disappear. 3.After applying your first coat, let it dry to the touch and apply a second coat. That's it you're done! 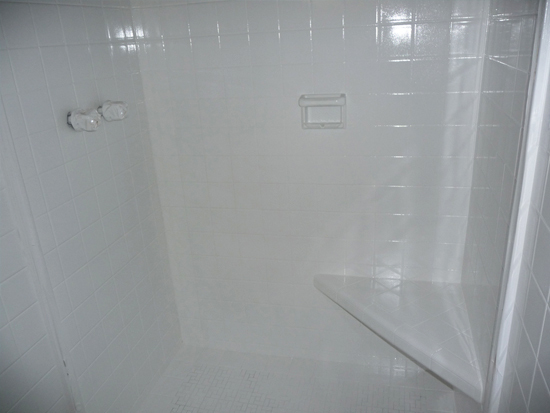 Let any area that gets wet dry for 3 days, then you can use your newly-coated tub, sink or shower just like before! Dry areas are usable in 24 hrs. Can I do this myself? The Kit contains everything you need for fantastic results. Our included sprayer assures that you will have a superb outcome and your surfaces will look brand new. ArmorGarage has sold tens of thousands of Bath Epoxy kits over the years, and now offers it to you in an easy-to-use kit, with complete instructions in both English and Spanish translations. It's easy to DIY apply, and NO special skills or equipment are required. What does the kit include? Each kit is complete with the special 2 part epoxy. It's pre-measured, just pour one can into the other. Kits also include the special cleaning pad and cleanser, special application sprayer & brush, rubber gloves and mixing stick. We also now include a special 2" foam roller handle with pad and mini-tray for easier application to vertical and larger surfaces. How long will it take me to do? It takes about 45 minutes to prep a standard tub, and maybe an hour to properly apply the first coat. Then 4-5 hours of drying time and then a second coat. How long does it take to dry? After applying the 2nd coat, you need to not use any areas that get wet for three days. Walls and floors dry to touch are ready for use in about 24 hours. How much do I need? Each Single kit will do about 75 square feet (a standard tub, shower, or surround). Can I tint the epoxy? Yes, you can add up to one half ounce of �universal type tints to make the epoxy into lighter and pastel colors. Since the epoxy is bright white, it cannot be made into dark colors since the base is white. How long will it last? ArmorGarage is the Nation's largest maker and seller of industrial epoxy floor kits. We've taken our extensive knowledge of epoxies and applied it into the making of the Bathroom epoxy kit. 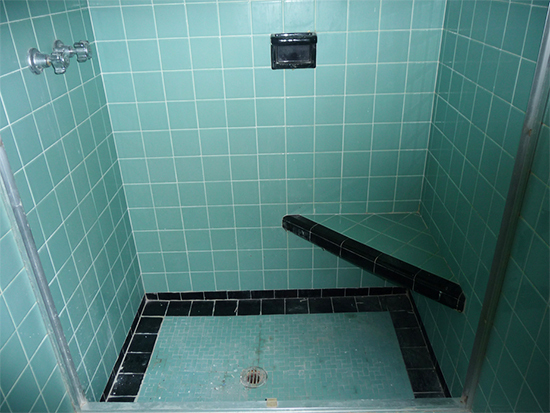 Your Bathroom epoxy will last many, many years. Life span is based on usage and care. Use a non-abrasive cleaner and no bleach to assure a very long life. You can also always re-coat the epoxy in the future if you needed to thus ensuring even a longer life to your bathroom. Unlike other brands that peel or chip off in a few years and are not re-coatable. What kinds of surfaces can I use this on? The Bathroom Epoxy Kit can be used on virtually any surface such as porcelain, tile, ceramic, fiberglass, acrylic, laminate and more. Just follow the prep instructions included in the kit. Does it have harmful fumes or odors? It has fumes similar to an oil based type of paint. Adequate ventilation must be used including fans or windows, and all state, federal and local regulations should be followed. Normally any odor disappears in 1-2 days. An inexpensive organic vapor type respirator available at any home center or paint store can be used if desired. Can it be sprayed? Yes, you can spray the epoxy through a standard sprayer or the included spray kit. You may have to thin it 5%-10% with xylene to achieve proper results. Our included instructions give spraying information. What is the warranty? We warranty the epoxy for 1 year from date of purchase. You can expect the epoxy to last many many years with proper care.